Science and Sensors Technologies developed a distributed optical fiber sensor that can be used to monitor relative humidity, RH, in air and concrete structures. This sensor can be either embedded in concrete or attached to the cables of a structure. 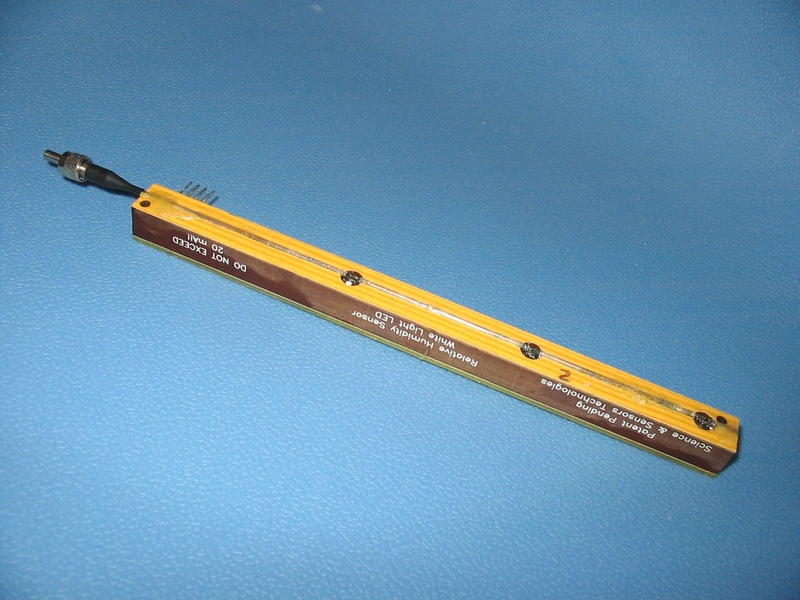 Our current sensor, see Figure 1, has three sensing points along the length of a 20 cm long optical fiber: each sensing point is along a 5 mm section of the fiber. 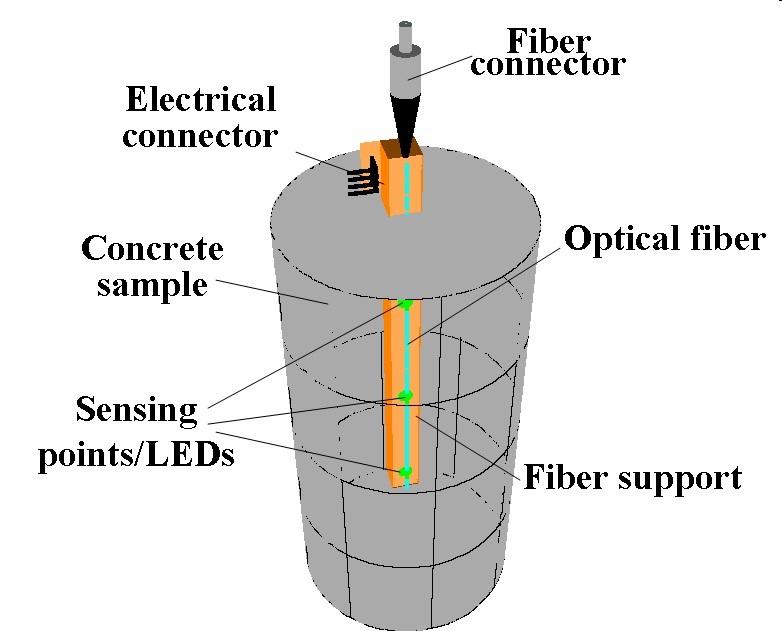 Figure 2 illustrates the sensor’s placement inside a concrete specimen with the fiber endface exposed to the outside environment. In this case, data is collected at the fiber tip. The sensor is fed by an external power supply that is attached to the sensor’s input port (not shown in the figure). The optical signal generated by the sensor is collected at the fiber endface by a detector to determine the relative humidity. A prototype version of this sensor, which includes the fiber, the power supply and a read-out unit, has been built for less than $250. Mass manufacturing of this device is expected to decrease the cost of the system even further. 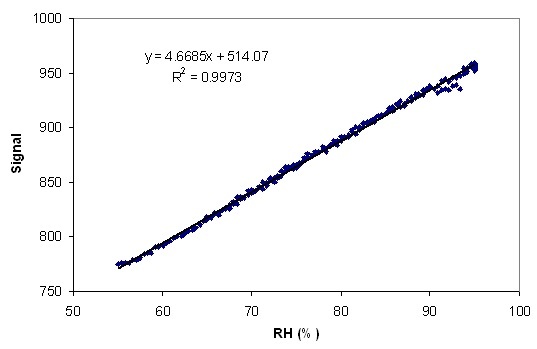 Calibration data in air is shown in Figure 3: as it can be seen, the signal from the sensor increases with RH. Also, notice that the sensor is highly linear and has a resolution of up to 0.1%. The sensor was also embedded inside a concrete sample to monitor RH during concrete cure. 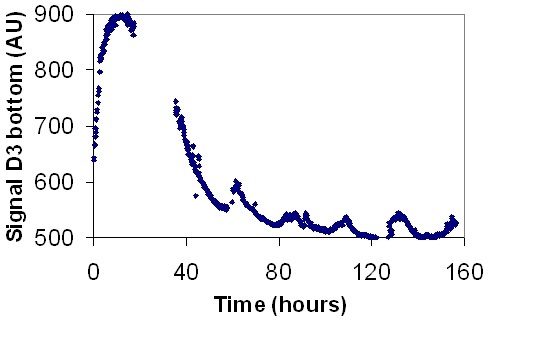 This data is shown if Figure 4: as it can be seen, RH increases in the first 15 hours and then decreases until it stabilizes. This result compares favorably with data from another type of sensor documented in the literature.